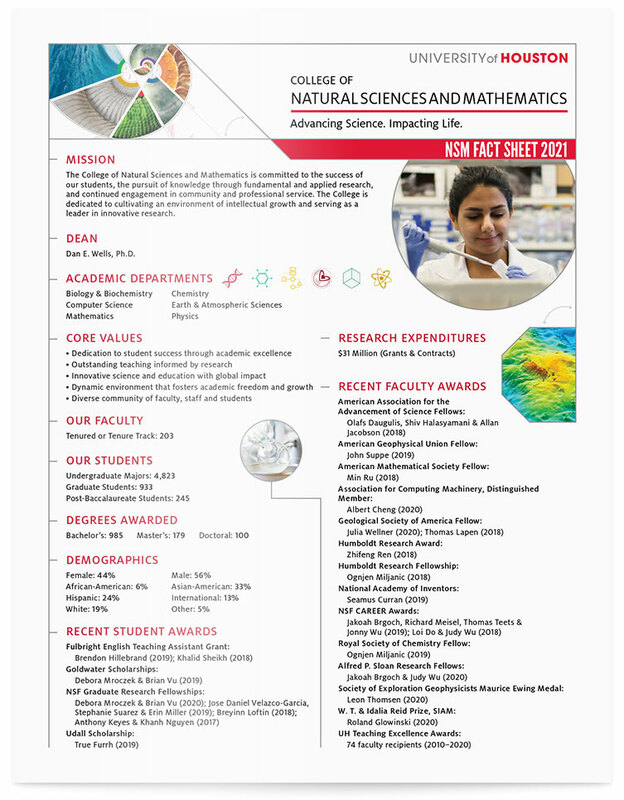 The College of Natural Sciences and Mathematics is committed to excellence in teaching, research, and service in the physical and biological sciences, computer science, and mathematics. NSM’s location in the nation’s fourth-largest city and energy capital of the world presents numerous opportunities for collaboration with the Texas Medical Center, NASA’s Johnson Space Center, and other entities. Focused efforts to recruit and retain minority students in science, technology, engineering, and mathematics through the Houston Louis Stokes Alliance for Minority Participation.